The best way to spread holiday cheer is by giving the people what they want: sweet or salty treats! Everyone has their favorites and we have some great brand ideas we want to share with you. The Fairytale Brownies story began on the kindergarten playground. That’s where Eileen Spitalny and David Kravetz met, forged a friendship and dreamed of a magical brownie-filled future. In 1992, baking late at night with a secret family recipe, their dream came true. Today, Fairytale Brownies is baking more than 6 million gourmet brownies, cookies and bars with the finest all-natural ingredients like rich Callebaut Belgian dark chocolate, creamery butter, fine cake flour and fresh eggs. All products are kosher for dairy and there are no artificial colors, trans fats or preservatives. Fairytale Brownies offers bright, expertly crafted bands to wrap around your gift box, and select gifts allow customization with your full-color logo and photo. This year, Fairytale redesigned its Christmas, Holiday and Hanukkah bands, and created a new seasonal band – Celebrate the Season. Check them out! Free standard shipping is always guaranteed on gifts. The idea for a chocolate company sprung from a road trip John took around the Northeast in search of innovative concepts in food. A boutique chocolate company seemed like the perfect idea as it was fun, creative and could be mixed with local ingredients such as mint from urban school gardens. We got right to work and launched John and Kira's in 2002. Before we knew it, the editors at Gourmet Magazine picked up on our confections and declared them their "favorite chocolates," prominently displaying our creations on the cover of the Valentine's Day issue of Gourmet in February, 2003. 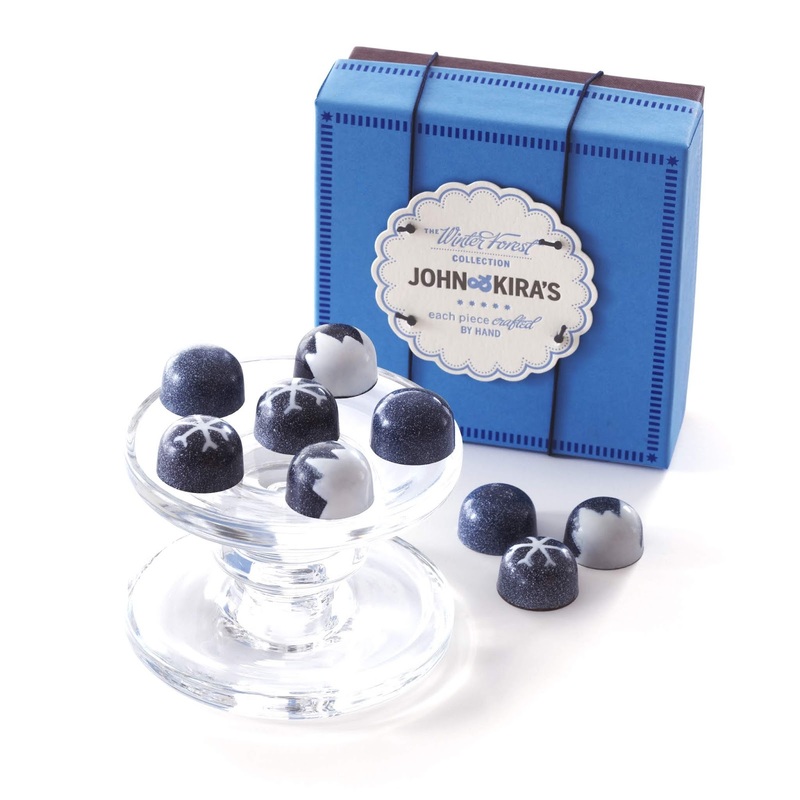 From those humble beginnings John and Kira's has grown and developed many clever and whimsical creations such as Chocolate Ladybugs, Bees and most recently a our "Up, Up & Away" Hot Air Balloon chocolates. John & Kira's Chocolates specialize in chocolate gifts, making them perfect for the upcoming holidays. 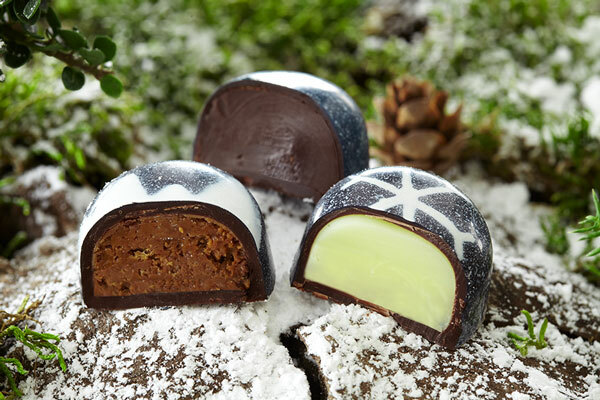 Our Winter Forest Collection is a fan favorite featuring: Snow capped jagged peaks enfold a crunchy hazelnut-almond praline center, crystalline snowflakes sparkle with a refreshing white chocolate mint ganache, and a beautiful starry night envelopes a vanilla touched dark chocolate ganache. If there is a better pairing for the "Sweet and Salty Gift Guide" then we don't know what it is. 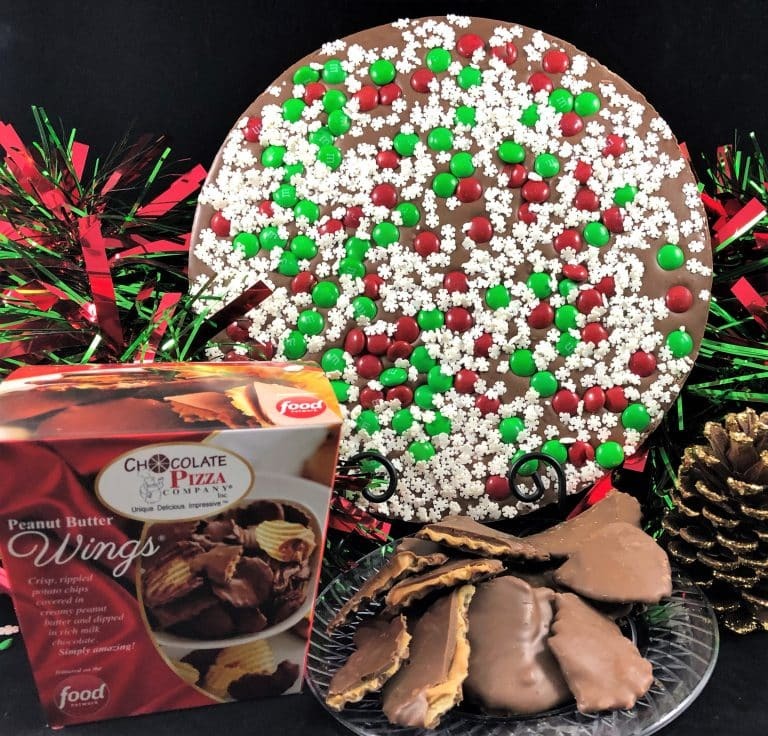 Chocolate Pizza Company makes this incredible "Snowflake Chocolate Pizza & Peanut Butter Wings Combo" that is as unique as it is delicious. Gourmet chocolate blended with homemade English toffee and topped with festive chocolate candy and sugar snowflakes. Served in a custom pizza box (16 oz). But it gets even better. Peanut Butter Wings are crisp, rippled potato chips covered in creamy peanut butter and drenched in rich milk or dark chocolate. Talk about a salty-sweet home-run! This amazing confectionery combo is perfect for everyone on your list including that impossible to buy for person. See this and all the holiday chocolate gift ideas from Chocolate Pizza Company on their website, ChocolatePizza.com. The most awesome like mom bakes, premium shortbread cookies! 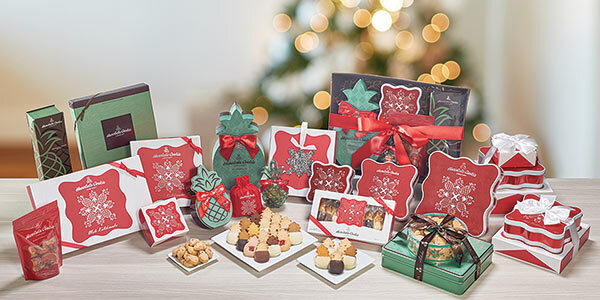 Limited edition gifts, customer favorites, great offers. Order by December 17th for Christmas Delivery. We`re truly hooked on these cookies! 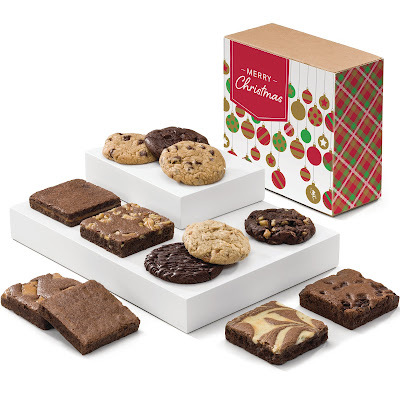 Shop your holiday cookies today- for the ones your gifting to AND get some for yourself! Nothing says "It's Christmas!" more than a candy cane filled to the brim with green and red M&M's! 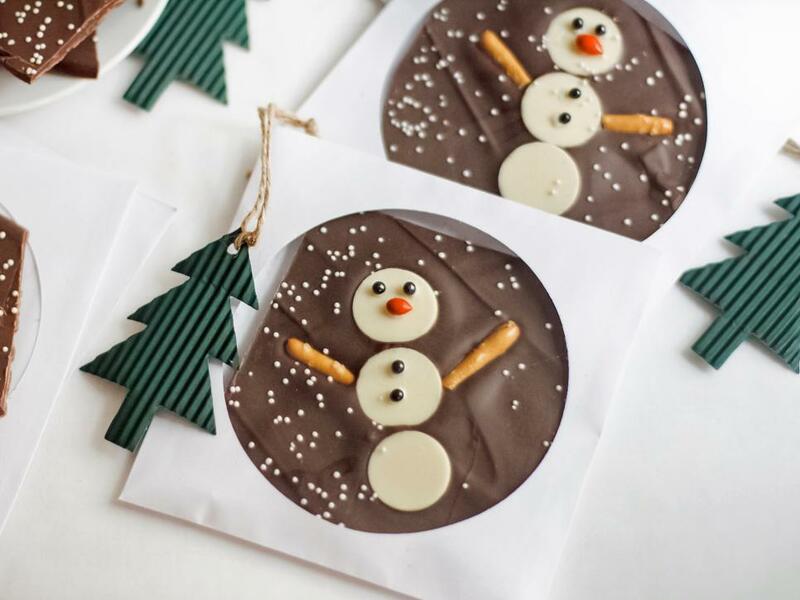 This cute novelty is a must-have item for stocking stuffers or any gifting event during the holidays. Mars Wrigley Confectionery also has a cute Holiday Minis Tree Gift Box filled with your mini favorites such as Snickers, Milky Way and Twix all inside a decorated tree box. There is no need for fancy decorations; this gift is adorned with sweet sugar, creamery butter, and decadent chocolate chips. 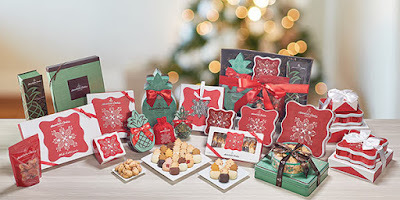 The Pacific Cookie Company has captured the sensation of simple holiday cheer with their Simple Wishes Holiday Cookie Gift. 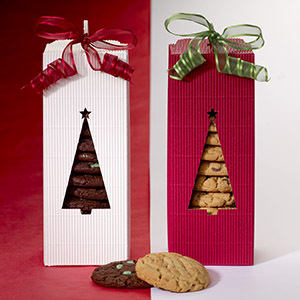 Arriving in a custom gift box with a darling Christmas tree cut out, 1 dozen of our 2-ounce fresh-baked cookies will fill the air with warm memories. Just like home baked!! **Watch this spot for more gift ideas coming soon.